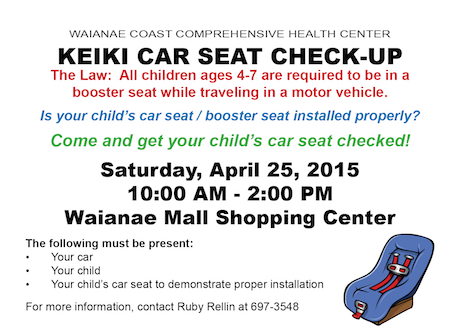 Is your child’s car seat/booster seat installed properly? Come and get it checked for FREE! The Law: All children ages 4 – 7 are required to be in a booster seat while traveling in a motor vehicle. For more information, contact Ruby Rellin at 697-3548.